Discover how people recycled their worn clothes to make shaggy mats. The technique is called Progging or Podging in the Black Country, and was done all over the British Isles. 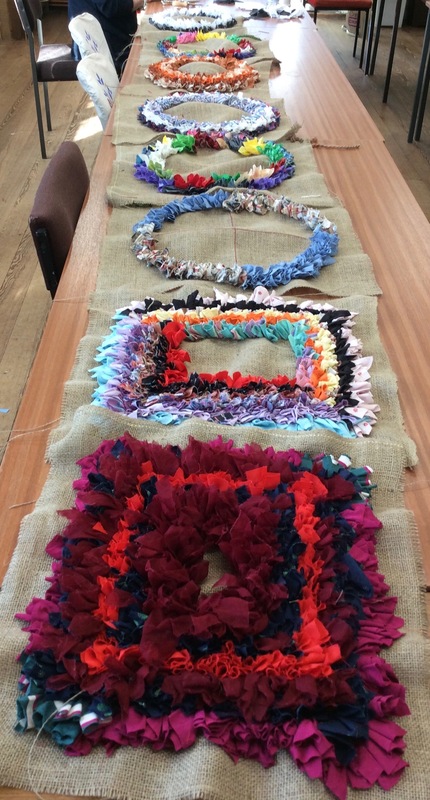 Learn the basic rag rug technique using either your own recycled fabrics or those supplied by your tutor. You could finish a small seat mat on the day or start a rug. Bring scissors and some fabrics/clothes to recycle. More details when you book. Info@westhope.org.uk or call 01584 861293. Full details on website.